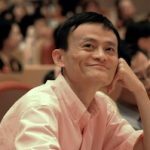 User-generated content first propelled Youku and Tudou into a post-IPO merger, and then Alibaba took control and privatized the company. Finally, the newly-private company is naming a new president. Chinese Internet video provider Heyi Group, formerly known as Youku Tudou, announced plans to appoint former co-president of Youku Tudou Yang Weidong as new president of Heyi Group, reporting to chairman and CEO Victor Koo. Heyi Group completed its privatization in April 2016. Koo said in an internal letter that to further enhance resource integration and optimize organizational labor division efficiency, the group would implement organizational restructuring. One of the adjustments is the appointment of Yang. According to the internal letter, Yang will be responsible for platform businesses related to Youku, Tudou, Laifeng, and Laiwan. He will be in charge of the various management and operations of those platforms and the related teams and team leads will report to Yang. Yang previously worked for State Grid, Lenovo Group, and Nokia. He joined Heyi Group in February 2013 as group senior vice president. 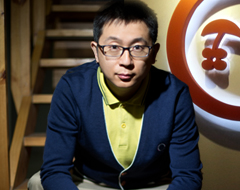 In November 2015, Yang was appointed co-president of Youku Tudou, leading entertainment content and platform business operations.